One of the major advantages that our baby has (born in Singapore, but of Australian and Chinese mixed heritage), is that so many celebrations occur more than once. This ranges from birthdays (Gregorian and Lunar calendars) to Religious holidays (Xmas and Easter - Buddhist festivals). Children's Day is a holiday in many countries around the world. International Children's Day (usually June 1) originated in Turkey and became especially popular in Communist countries. Universal Children's Day originated in the United Nations. The International Children's Day (ICD) is celebrated in numerous countries, usually (but not always) on June 1 each year. The ICD had its origin in Turkey in 1920 (April 23, 1920) and later in the World Conference for the Well-being of Children in Geneva, Switzerland in 1925. It is not clear as to why June 1 was chosen as the ICD: one theory has it that the Chinese consul-general in San Francisco (USA) gathered a number of Chinese orphans to celebrate the Dragon Boat Festival in 1925, which happened to be on June 1 that year, and also coincided with the conference in Geneva. The United Nations General Assembly recommended in 1954 (resolution 836(IX)) that all countries institute a Universal Children's Day, to be observed as a day of worldwide fraternity and understanding between children and of activity promoting the welfare of the world's children. It suggested to governments that the Day be observed on the date which each considers appropriate. The date of 20 November marks the day in which the Assembly adopted the Declaration of the Rights of the Child, in 1959, and the Convention on the Rights of the Child, in 1989 and is often the day chosen by countries as their own designated day to observe Universal Children's Day. State governments are responsible for passing legislation providing a day and name appropriate for their compliance with the United Nations General Assembly resolution. United Nations Office of the High Commissioner for Human Rights / UN Committee on the Rights of the Child. Australia celebrates "Children's Day" on the fourth Wednesday of October. In 2008, it falls on the 22nd of October. It is part of a week long celebration of "Children's Week". It is a time when children of all ages receive gifts and celebrate their special week. Children's Day is celebrated on the second Sunday of August. Children's Day is celebrated on October 12, which is also the day of Our Lady of Aparecida, a public holiday in Brazil. In Bangladesh, Children's Day hasn't been celebrated in a manner that may let know the community know about the importance of Child Rights. However on November 20 YCM(Youth Change Makers) plans to inform people of Children Day by holding huge children competitions and fashion show. Though it wont be considered as a holiday. Canada's "National Child Day" is held November 20th each year as enacted in Bill C-371, otherwise known as the Child Day Act, by the Parliament of Canada in 1993 to fulfill Canada's commitment to the United Nations General Assembly's recommendation to observe a Universal Children's Day.Canadian Children's Rights Council It is not a holiday in Canada. On Congo, Congo DR, Cameroon, Equatorial Guinea, Gabon, Chad, Central African Republic, São Tomé and Príncipe Children's Day is celebrated in this country on the December 25 to honour all the children. Children's Day is celebrated the first Sunday of August. In Colombia Children's Day is celebrated in the last weekend of April. Children's day is celebrated on September 9 in Costa Rica. Children's day is celebrated in Cuba on the third Sunday of July. In El Salvador, Children's Day is celebrated on October 1. In Russia, as well as other former Soviet Union states, including Armenia, Azerbaijan, Belarus, Estonia, Georgia, Kazakhstan, Kyrgyzstan, Latvia, Lithuania, Moldova, Tajikistan, Turkmenistan, Uzbekistan, other former or current communist states, Albania, Angola, Benin, Bosnia and Herzegovina, Bulgaria, Cambodia, Croatia, Cuba, Czech Republic and Slovakia, Ethiopia and Eritrea, Germany, Laos, Republic of Macedonia, Mongolia, Montenegro, Mozambique, Poland, Serbia, Slovenia, Tanzania, Yemen, Children's Day is celebrated on June 1. This list includes 25 countries which regained independence from USSR, seceded from Yugoslavia Federation, as well as Czechoslovakia, Ethiopia after their respective splits. During the Cold War, the Children's Day (Kindertag) was handled quite differently in the two states. The date was different (GDR: June 1, FRG: September 20), the name was slightly different (GDR: "International Children's Day" ("Internationaler Kindertag"), FRG: "World Children's Day" ("Weltkindertag")), and most notably: the customs. In the GDR, the holiday was introduced in 1950, and was from then on a yearly highlight for the children. On this day of the year, one typically received congratulations and presents from one's parents and did special activities in school, such as field trips and the like. In the FRG, Children's Day did not have such meaning to the children, and was even mostly unknown to many people. Since the affiliation in 1990, the date and name used in the FRG have become the official ones for the former GDR as well. This however was not accepted by large parts of the former GDR population, so that still many parents celebrate with their kids on the former date, June 1, and even Children's Day public events take place on the old date. In Guatemala Children's day is celebrated on the first day of October. In Honduras Children's Day (Día del Niño) is celebrated on September 10. Children's Day is celebrated on April 4 each year (the same day as the Republic of China (Taiwan) since ROC established the Children's Day on April 4 in 1931. The ROC government combined Women’s Day with Children’s Day on April 4 in 1993, officially calling it Women’s and Children’s Day, making it a day for women, mothers, and children. The practice is still observed by both the Hong Kong SAR Government and the public after the handover in 1997, though this festival has not been a public holiday before the handover. In 1931 Children's day started although then it was called Children's Week, but since 1950 it has only been a day technically the last Sunday in May. In India Children's Day day is celebrated on November 14 every year. This date the marks the anniversary of independent India’s first Prime Minister, Pandit Jawaharlal Nehru. Children's day is celebrated on this day in recognition of his lifelong passion and work for children. Children's Day is not celebrated. Japanese families fly carp kites on Children's Day.May 05 is Children's Day, called こどもの日 ("Kodomo no hi", こどもの日?) in Japanese; the festivities used to be called Boy's Day , called 端午の節句 (Tango no Sekku, 端午の節句?) in Japanese , to distinguish it from Girls' Day, called 桃の節句 (Momo no Sekku, 桃の節句? ), ひな祭り (Hinamatsuri, ひな祭り?) in Japanese , March 3). Both of these days are marked with a lot of activities for children. On this day, children display samurai swords, armor, and Kintarō dolls. Two important symbols of Children's day are carps and irises. Traditionally, families fly carp kites with a carp .representing each son. In Mexico Children's day is celebrated on the 30th of April. Children's Day is celebrated on the first Sunday of March each year. Children's Day provides New Zealanders with a special opportunity to spend time with their children, create positive memories, and take part in fun activities that start new traditions as well as continue old ones. The vision of Children's Day is to see children celebrated, nurtured and treasured by all. Children's Day is celebrated on the 27th of May. North Korean Children's Day is celebrated on June 1 (국제 아동절). Before 1945 it was celebrated on May 1, But in 1945, it was changed to its current date. In South Korea, 5th of May is officially the Children's Day. In Pakistan, Children's Day is celebrated on November 20. There is no holiday on this day but it is observed by NGO working on Child Rights. In Peru, Children's Day is celebrated on October 14. In Paraguay, Children's Day is celebrated on August 16, day of the infamous Battle of Acosta Ñu, where 20,000 thousand men of the Brazilian Army crushed a Paraguayan battle made up of 3,500 children ages six to fifteen - even though Paraguay had been already completely defeated (see more in War of the Triple Alliance). It's a national holiday, used to remember the atrocities the Brazilians committed during the five-year war. In the People's Republic of China, Children's Day is celebrated on June 1 and is formally known as "The June 1st International Children's Day" - 六一国际儿童 节). When the People's Republic of China was first established in 1949, the State Council (Cabinet) designated a half-a-day holiday for all primary schools on June 1st. This was later made into a full day's break in 1956 with The Announcement by the State Council to make June 1st Children's Day a One Day Public Holiday (国务院关于“六一儿童节”改为放假一天的通知). 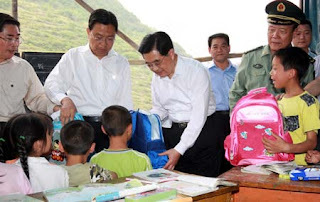 Schools usually organizes activities such as camping trips or free movies on Children's day to allow students to have fun, and Children of civil servants might also receive small gifts from the government. Entrance Ceremonies of the Young Pioneers of China (similar to boy scouts in the West) are frequently held on June 1st as well. Children's Day is celebrated in Poland on June 1. The International Children's Day was introduced in Poland in the early 1950s. It coincides with the beginning of summer and it is usually treated as a holiday, as it takes place near the end of the school year. 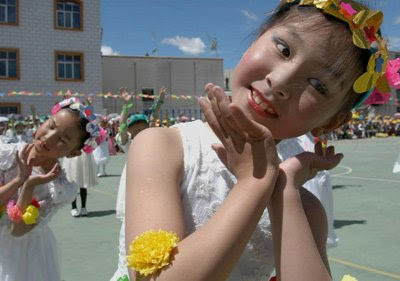 Schools usually organize special activities for the day of the celebration, and the first week of June is a time of the festivities organized in parks and entertainment centers for children. Parents usually buy some small gifts for their children. In Portugal, and also at some of its former colonies - Guinea-Bissau, Macau, Cape Verde, East Timor - the Children's Day is celebrated on June 1. In Romania the Day is celebrated on June 1. October 1 is the day which Singapore officially celebrates Children's Day, a similar event celebrated every year is Youth Day which is celebrated on the first Sunday of July each year. In Slovakia, the day is called International Children's Day and is celebrated on June 1. The Universal Children's Day is celebrated on the October 01. The International Children's Day is celebrated on October 2, though there are very few actual celebrations. The Taiwan designates April 4 as Children's Day (兒童節), pursuant to Article 5 of the Order to Implement Commemoration Days and Holidays (紀念日及節日實施辦法). Despite not being a legal holiday, schools often hold special activities in order to celebrate the occasion. Due to pressure from parents that demanded to accompany their children in the celebration, the ROC government recognized Women’s Day with Children’s Day on April 4, 1993. Thus, the celebration is technically called Women’s and Children’s Day. The second Saturday of January is Children's Day in Thailand. In Turkey, Children's Day has been celebrated on April 23rd since 1935. It originated from the first gathering of Grand National Assembly on April 23rd, 1920, during the Turkish Independence War. After the Ottomans were defeated during World War I, Turkish land had been occupied by other European countries such as England, Italy and France. Ataturk, an Ottoman commander, broke his ties with the dying Empire and started the war for independence against Allied forces and the old Ottoman regime. After years of fighting Turkey won full independence. Turks consider Ataturk to be "The Father of Modern Turkey". After the war, Ataturk refused the role of Sultan or King and established a modern Republic instead. He gifted April 23rd to the children for the country, so that they would cherish the independence that cost so much, but at the same time walk the path of "Peace at Home, Peace in the World"
On April 23rd children from around the world come to Turkey. They're hosted by families who have children of a similar age. Festivities last over a week and the visiting and Turkish children spend a lot of time together. Many children, often not even speaking the same language, create lifelong friendships. Several of the events are broadcast on television, showing the children in their traditional national outfits, dancing singing and exchanging gifts. The United Nations participates the events. Every year on April 23rd, the seats of Parliament are held by children, and a child becomes President for a day. The child President delivers a speech on national television. Children’s Day observations in the United States predate both Mother’s and Father’s Day. The celebration of a special Children’s Day in America dates from the 1860s and earlier. In 1856, Rev. Charles H. Leonard, D.D., then pastor of the First Universalist Church of Chelsea, Mass., set apart a Sunday for the dedication of children to the Christian life, and for the re-dedication of parents and guardians to bringing-up their children in Christian nurture. This service was first observed the second Sunday in June. The Universalist Convention at Baltimore in September, 1867, passed a resolution commending churches to set apart one Sunday in each year as Children’s Day. The Methodist Episcopal Church at the Methodist Conference of 1868 recommended that second Sunday in June be annually observed as Children’s Day. Also in 1883, the National Council of Congregational Churches and nearly all the state bodies of that denomination in the United States passed resolutions commending the observance of the day. About this time many other denominations adopted similar recommendations. Chase’s Calendar of Events cites Children’s Sunday and notes that The Commonwealth of Massachusetts issues an annual proclamation for the second Sunday in June. Numerous churches and denominations currently observe the second Sunday in June including the African Methodist Episcopal Church and the Church of the Nazarene. Children's Day, was proclaimed by President Bill Clinton in October 2000. He declared that it be held on November 16th. In 2007, Illinois Governor Rod R. Blagojevich issued a proclamation proclaiming the second Sunday in June as Children's Day. The mayors of Aurora and Batavia, Illinois, also issued proclamations. In Uruguay, Children's Day is celebrated on January 6th. In Venezuela Children's Day is celebrated the 30th of April. Children's Day is celebrated on June 1 as ICD and on the full moon of the 8th lunar month during the Mid-Autumn Festival. MIANYANG, China, June 1 (Reuters) - It's Children's Day in China, but Mr Li doesn't have much to celebrate. His 12-year-old daughter was among the thousands of children killed when their schools collapsed in China's May 12 earthquake, which shattered the southwestern province of Sichuan. His hometown of Beichuan was all but flattened in the quake, and an unstable lake formed by landslide-blocked rivers means that for now, between the threat of flood and the lack of shelter, the government is not allowing residents to return. "We don't know what we'll do or whether we'll go back," said Li, averting his gaze. For now, Li is among the nearly 7,000 people, almost all from Beichuan, sheltering in a sports stadium on the edge of Mianyang, a nearby city that escaped serious damage. Li might take little comfort in the fact that he is not alone. Domestic media reports compiled by Reuters put the combined toll from deaths of children and teachers in the rubble of schools at more than 9,000. Many grieving parents are blaming corruption and shoddy standards for the crumpled buildings. On the walls of the stadium, alongside lists of survivors camped there are posters of those missing, many with pleas from relatives for news of their whereabouts. "Mother looking for daughter, Zhen Yixi, 6," reads one. Another names Qushan school in Beichuan, where an eight-year-old girl was last seen. "If you have seen her, please get in touch with her relatives!" it says. Despite the weight of collective grief over the children lost in the quake, authorities in the stadium are trying to ensure that those who survived have the chance for a bit of celebration. Under a giant white tent pitched outside the stadium, teachers lead hundreds of students in song in preparation for their Children's Day performance. All are from Beichuan, and some still bear the scars of the quake. One boy has his arm in a cast, another's eye is swollen shut. Some are clad in identical, donated clothes as they march around the tent in formation, belting out a song whose lyrics in part are "We only need to always have love and always be optimistic". The teachers and volunteers say it's still appropriate to celebrate, despite the despair around them. "There are the children who made it out. We should give them a chance to celebrate," said Ren Yanyan, a volunteer helping organise the small show. "I hope that for one day, with some singing and dancing and a celebration, they can forget the earthquake." (Reporting by Lindsay Beck; Editing by Alan Wheatley). I know what you're thinking. Isn't every day Children's Day? I mean, really. How hard is it to be a child? They get their meals cooked, their clothes washed, their beds changed, and toys. Lots of toys. But in China, children are celebrated yearly on June 1. The whole country celebrates with cards, presents, special foods, parades, and other activities. Although schools remain open, children do not attend class and are free of homework. Students participate in a wide variety of activities to strengthen allegiances to their country, have fun, and take part in, and join youth organizations such as the Communist Youth League. The ICD had its origin in the World Conference for the Wellbeing of Children in Geneva, Switzerland in 1925. It is not clear as to why June 1 was chosen as the ICD: one theory has it that the Chinese consul-general in San Francisco (USA) gathered a number of Chinese orphans to celebrate the Dragon Boat Festival in 1925, which happened to be on June 1 that year, and also coincided with the conference in Geneva. June 1 has since been observed as the ICD by numerous countries, especially by Communist countries; in the Western world the ICD is usually celebrated on other days of the year (if at all), and there is often little public awareness about these celebrations. (See the section on Germany below for further discussions.) Consequently there is sometimes a misperception that June 1 as the ICD was a Communist invention. Nonetheless, in recent years even some groups within the United States started observing the ICD on June 1. Children's Day is a time of festivity for Chinese youngsters. The occasion is marked by the Children's Day Celebration honoring model students from around Taiwan and the Peoples Republic of China and by numerous parent-children activities sponsored by government and civic organizations. Thus, the day not only lets the kids become king for a day, but also helps to strengthen the bond between parents and their children. In recent years, children's issues have gained greater attention in Taiwan, leading to the founding of several child welfare groups. With passage of the Children's Welfare Law, the rights of young people have been given legal protection so that the future leaders of the nation can live a life free from worry and uncertainty. International Childrens' Day is celebrated in many countries around the world. Lucky kids! BEIJING, June 1 (Xinhuanet) -- Top Chinese leaders showed their concern for the country's millions of minors by greeting and joining them on the International Children's Day. President Hu Jintao on Monday celebrated the Children's Day together with hundreds of children, chatting and playing table tennis, at the China Science and Technology Museum and Beijing Municipal Children's Palace. Premier Wen Jiabao joined children to watch an art performance on Saturday afternoon to celebrate the Children's Day and gave festival greetings to Chinese children and their teachers. On Monday night, Vice-President Zeng Qinghong attended the premiere of a charity show for children and called for more care for the country's minors. "China is rendering unprecedented care to the healthy growth of the nation's youngsters," said Sun Yunxiao, an expert on children's education. On March 22 this year, the Central Committee of the Communist Party of China (CPC) and the State Council issued a package of proposals on improving the ethical, ideological and moral standards of children and young people across the country. A campaign to purify the environment for youngsters' healthy growth was thus launched in China. On this Children's Day, all public cultural facilities across China, including museums, memorials, art galleries, opened to youngsters free of charge. Also on this Children's Day, the Tianjin TV station opened a children's channel, the first of its kind for the country's provincial-level TV stations, after the China Central Television Station (CCTV), the country's largest state broadcaster, launched a special program catering for young people on Dec. 28, 2003. In fact, China has ordered all its provincial-level TV stations to launch a special channel catering for children by the end of 2006, according to the State Administration of Radio, Film and Television (SARFT). Meanwhile, the SARFT ordered all TV stations to curtail air time allotted to TV plays, movies and other TV programs that depict bloody, violent, homicidal and horror scenes and content. It also ordered strict control of the production and import of TV plays and movies of such nature, banned airing such programs in prime time, and ordered shifting their air time to midnight. The 367 million children and youngsters under the age of 18, accounting for 28 percent of the Chinese population, can play a vital role in building the nation, Sun Yunxiao said. And strengthening and improving the ideological and ethical development of minors is an urgent requirement. As China has seen some tragic accidents related to youngsters and Internet bars recently, the central government has imposed a rigid watch on Internet bars to keep them 200 meters away from schools and protect minors from profit-seeking Internet bars. Meanwhile, China has shut down nearly 16,000 unlicensed Internet cafes across the country since March this year. In addition, China is dedicated to producing more wholesome literary works for youngsters. The Legend of Nezha, a very popular cartoon book based on an ancient Chinese folktale, has replaced Harry Potter and became the best-selling children's reader in the nation. "In response to the government's call, all circles of society are participating in the campaign for creating a 'purified' environment for the healthy growth of youngsters," Sun Yunxiao said. GOD BLESS ALL OF OUR CHILDREN !! !